The word ‘Fan’ is actually short for ‘Fanatic’, but they are more than fanatics, they are friends. They can be friends of the ‘Brand’. They want to be friends with the Brand. They paid to see, touch, listen, and be in the experience of said Brand. Friends, or rather, guests, of a Brand want to connect on any level with the history, present and future of where it is all going. Connecting on a more personal level begins with interaction. If at an event, the Brand’s event or another Brand’s event, be approachable. That attitude gives the friendship an opportunity to connect in a more personal way. If possible, have an item, or merchandise, to give them. This is so they leave with something to remember the meeting with. Networking is all about building and cultivating relationships, this is included within the following group of people; Friends, Family, Associates, and the audience of said Brand. Making fans feel like friends is extremely important to earning their trust in what you do. Keeping it friendly builds that networking circle as well as a bond with them. Your success is not how great you are, but how well you connect with your audience. 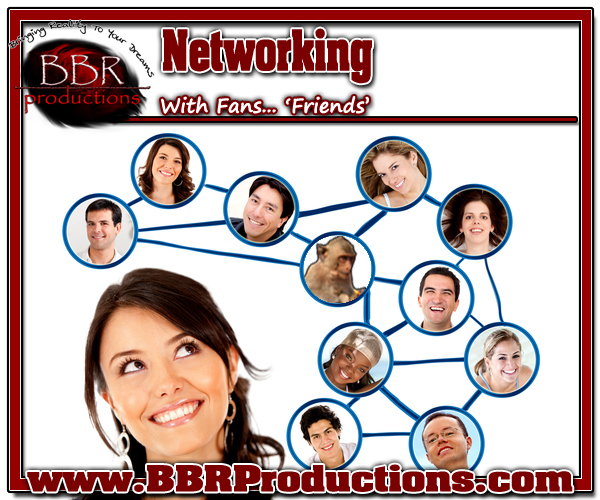 This entry was posted in 3 Needs of Success and tagged 3 Needs of Success, BBR Productions Inc., Branding, Growing Brand Value, Networking, Thomas J. Bellezza. Bookmark the permalink. Yes there is… look in the bubbles 🙂 center image.